Young Justice is returning for a 3rd season next year on DC's new streaming service and at Comic-Con the line up was revealed for the upcoming season. 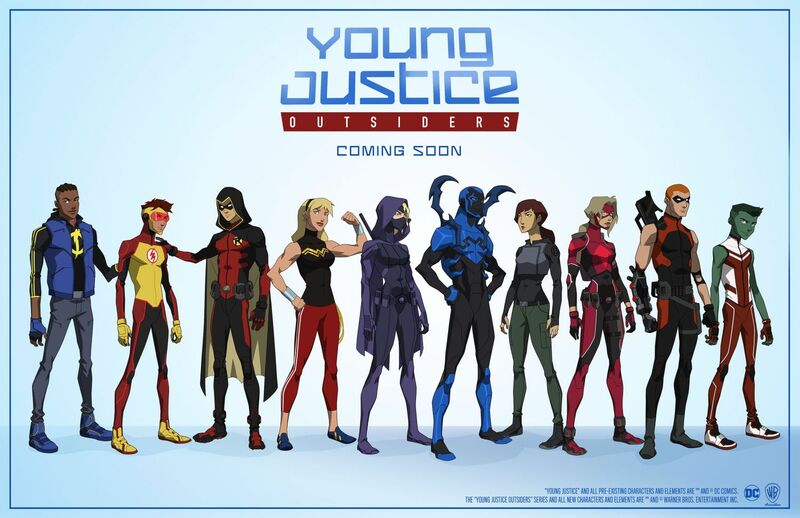 Titled Young Justice: Outsiders the line up will include Robin, Static, Kid Flash, Wonder Girl, Spoiler, Blue Beetle, Arrowette, Arsenal, Beast Boy, and a new character called Thirteen. The first two seasons of the show proved so popular that fan out cry has caused this 3rd season to happen. The first two are now available on Netflix and the upcoming 3rd season will be made available on DC's new digital service sometime in early 2018.